[Madison, Wis…] – A bill aimed at bringing greater oversight of state bureaucratic rule-makers is a step closer to becoming law. On Tuesday, the Regulations from the Executive in Need of Scrutiny, commonly known as the REINS Act, passed the Republican-controlled Senate on a nearly party-line vote, 19-14. Sen. Devin LeMahieu, co-author of the bill, celebrated passage of a measure supporters say will check the damaging overreach of government agencies. Sen. Robert Cowles, R-Green Bay, was the lone Republican vote against the measure. Cowles said the REINS Act is unnecessary. “I’m sure I’m the only one against this on my side of the aisle,” Cowles said during floor debate Tuesday afternoon. 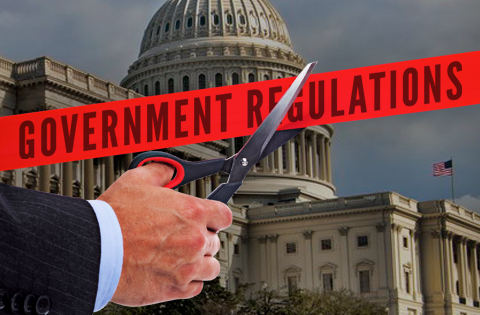 Democrats insist the REINS Act would undermine regulations designed to protect the public. The REINS Act, co-authored by Sen. Adam Neylon, R-Pewaukee, passed the Assembly last session. It is expected to do so this session. Gov. Scott Walker included the reform in his budget, but REINS was one of 83 “non-fiscal” policy items stripped from the Joint Finance Committee’s starting budget document.